Fritz Compton was born in Manassas, Virginia, on April 15, 1915. He officially joined the aviation world when he soloed in 1935 in an Aeronca C-3 airplane. 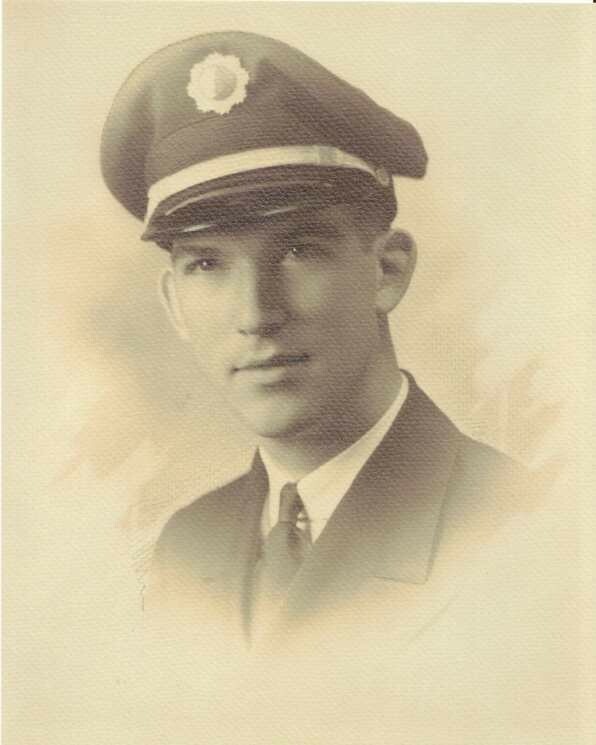 He flew Piper Cub float planes from the Potomac River giving airplane rides until he was hired by Eastern Air Lines in 1939. He started on the DC-2, predecessor to the famous DC-3, and completed his professional aviation career flying the Lockheed L-1011 when he retired in 1975 at age 60. His hobby was flying sailplanes and he flew them well. He earned his Silver Badge #56 in 1946 and his Gold Badge #10 in 1947. He was a mentor to many sailplane pilots, encouraging them by sharing his knowledge of "reading the sky" and efficiently using thermals. Early in his soaring career he became interested in competition and wrote an article for Soaring magazine in the Nov/Dec 1946 issue entitled "Standardization of Contest Rules." In the late 1940s through the 1950s he placed in the top ten several times and earned a pilot slot on the 1958 U.S. Soaring Team at the World Soaring Competition in Lezno, Poland. However, in sailplane competitions, he always flew "for the fun of it", and would readily offer a helping hand to other enthusiasts. 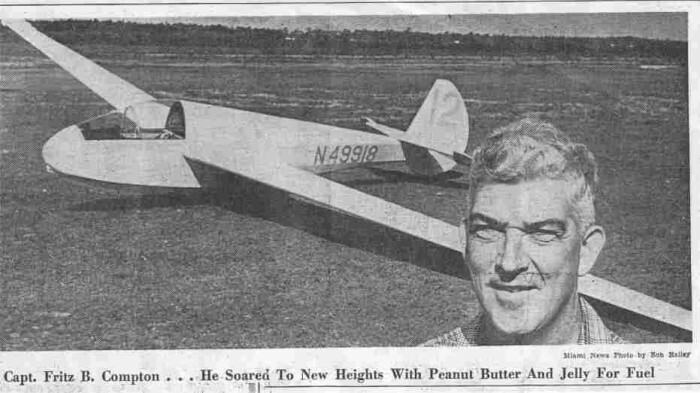 One notable soaring flight was made in 1957 when he flew his highly modified Laister-Kauffman LK-10A sailplane 320 miles from Elmira, New York, to Plymouth, Massachusetts, one of the longest flights at that time eastbound from Elmira. Fritz had flown off his map and could have continued across the ocean to Cape Cod but did not know the exact distance ahead to Provincetown. He decided that a landing at Plymouth was prudent and descended from 7,000 feet to end this remarkable flight. 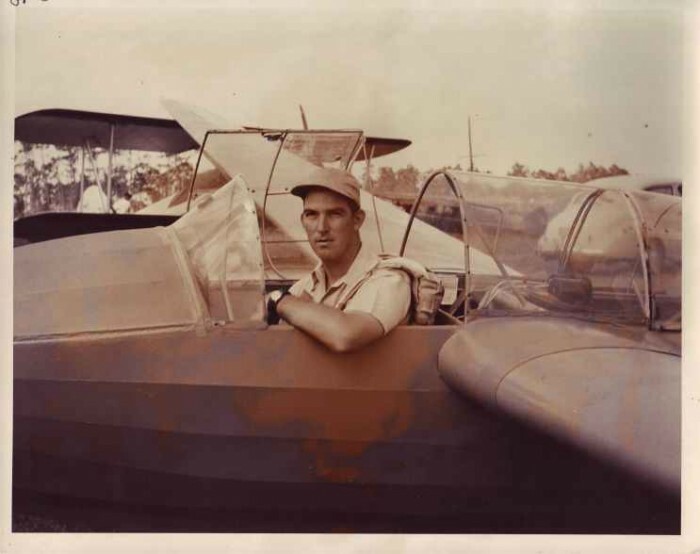 Fritz Compton established the first gliderport in South Florida when he purchased 60 acres south of Miami in 1945 in order to have a grass runway for gliders and airplanes. He built a home on that site in which he raised his family. His wife, who was always a welcome addition to the contest locations, was perhaps even more popular than Fritz. 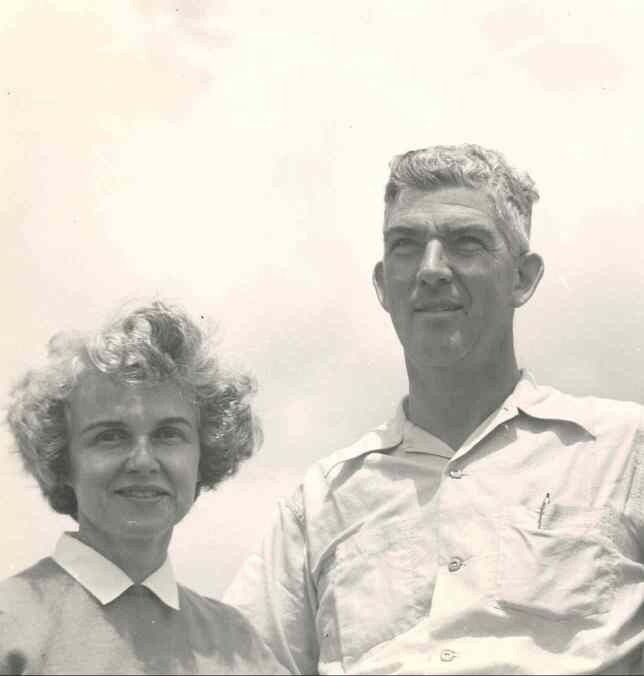 They enjoyed 56 years of married life together. Fritz's son Burt now owns and operates a soaring business at Marfa, Texas. Fritz served as SSA Vice president and was active in world and national soaring competition. He developed rules for competition and also was in charge of record homologation and badge processing - all as a volunteer. He received the SSA Exceptional Service Award in 1992. In 1948 Fritz Compton was recognized by the Soaring Society of America when he was awarded the Warren E. Eaton Memorial Trophy, the highest honor the Society bestows upon its members. The award was not for his exceptional flying skills, but for his contribution to safety by compiling the SSA Standard Signals, which are still in use today. 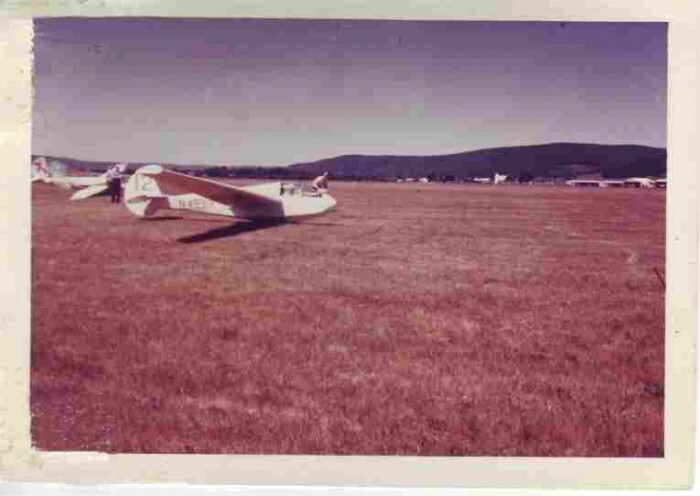 Last takeoff of the family sailplane - the modified L-K at Elmira, NY in 1963. Sadly, it blew away in a storm later that day.